Dubai set a new Guiness World Record for the most number of nails filed and varnished in eight hours at the Star Atrium of The Dubai Mall on Friday. 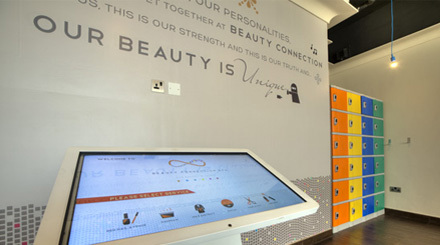 The Beauty Connection Spa and KOKO Nail set a new record for the most nails filed totalling 50,080 and varnished fingernails of 5,108 people. A total of 100 manicurists dressed as Rosie the Riveter, a symbol of feminism and women’s economic power, polished an astounding 50,080 fingernails at lightning speed to break the previous record of 2,572 mini-manicures hands and 25,750 finger nails varnished approximately 12 minutes per hand with 100 technicians set by Sally Hansen and Priceline in 2011. Nail technicians or manicurists on duty at The Dubai Mall’s Star Atrium did it from 2pm to 10pm giving complimentary mini-manicures with a KOKO Nail polish application to more than 5,000 people, who participated in the successful record-breaking attempt. Women participating in the record-breaking attempt received a file, a base coat, two coats of varnish and a top coat and men received a file and a buff to shine. Each mini-manicure completed also received a token of gratitude with the one and only Guinness special edition KOKO Polish to take home. The mini-manicures were free but a donation was welcome from participants towards ‘Rashid Centre for Disabled’, the charity partner of Beauty Connection Spa. For the manicures completed, Beauty Connection Spa also donated a lump sum to Rashid Centre for Disabled. Koko has the depth and richness that many other nail polish lack. With well over 300 Classic and trend-defining shades from the runways of Paris.State-of-the-art formula strengthens and moisturizes nails as it delivers long-wearing, high-shine, chip-resistant colour.KOKO nail is streak freewith its special formulation to give the Gel Look finish. It’s called Beauty Connection Spa and it spans a whopping 30,000 square feet. The spa, the first of which opened in 2002, is the brainchild of Emirati businesswoman Makahlah Al Shamsi. 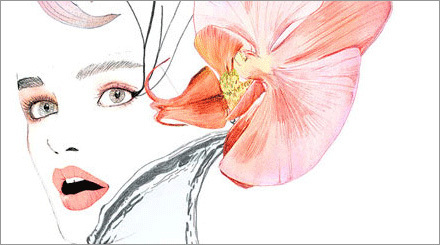 The six sections to choose from are called Red Nail Avenue, Hair-a-cut, Wax District, Hammam, i-Brows and Facial. The mani-pedi section alone has an impressive 52 spaces while 46 ladies can get their tresses tamed at the same time in the salon area. A big plus is that BCS has abandoned the traditional appointment system. Instead clients use a self-service vending machine to choose and pay for their required treatments when they arrive on-site.